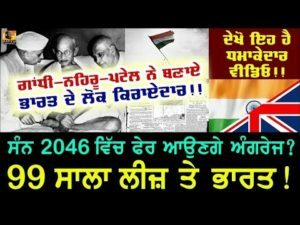 Home / ਵਾਇਰਲ ਵੀਡੀਓ / 99 ਸਾਲਾਂ ਲਈ ਤੇ ਹੈ ਭਾਰਤ-ਫਿਰ ਆਉਣਗੇ ਅੰਗਰੇਜ !! India on Lease for 99 Years !! India on Lease for 99 Years !! 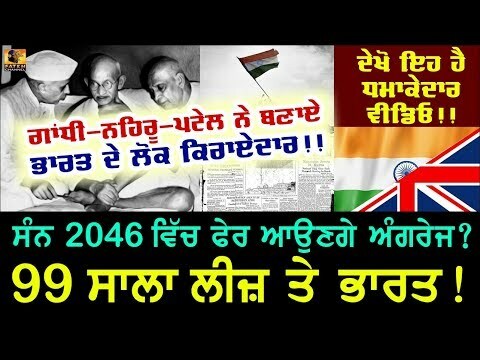 Rajiv Dixit talkinf about This Fake Freedom.The theory goes by that Transfer of Power Agreement of 1947 by which India was declared independent implied that India will continue to be the Commonwealth Nation, formerly known as British Commonwealth Nation. Therefore all the Commonwealth nations including India are still a colony of the Queen. 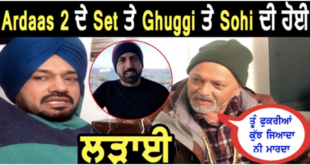 Previous ਜਾਗੋ ਪੰਜਾਬੀਓ ਨਹੀਂ ਤਾਂ ਆਹ ਵੀਡੀਓ ਵਾਲਾ ਹਾਲ ਕਿਸੇ ਦਿਨ ਪੰਜਾਬ ਦਾ ਵੀ ਹੋ ਜਾਣਾ .. ਸਾਵਧਾਨ ..